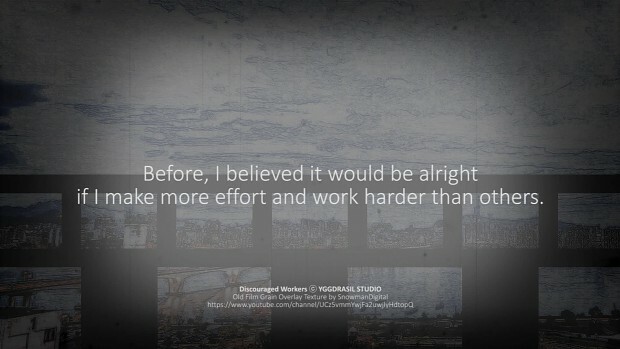 『Discouraged Workers』 is an independent progressive kinetic novel created by YGGDRASIL STUDIO. The game is the fifth in the Project DW series, a satirical story based on the popular Korean soap operas-styled plot. It compares Ga-yeon’s bleak everyday life to the dark side of youth.